Arrive at Cairo airport and meet with Solar Empire transfer man for assistance through customs and baggage claim. Transfer to your hotel. Stay overnight in Cairo. After breakfast you will be picked up from your hotel and drive to Alexandria. Enjoy a full day tour of this fascinating city, the Pearl of the Mediterranean Sea. 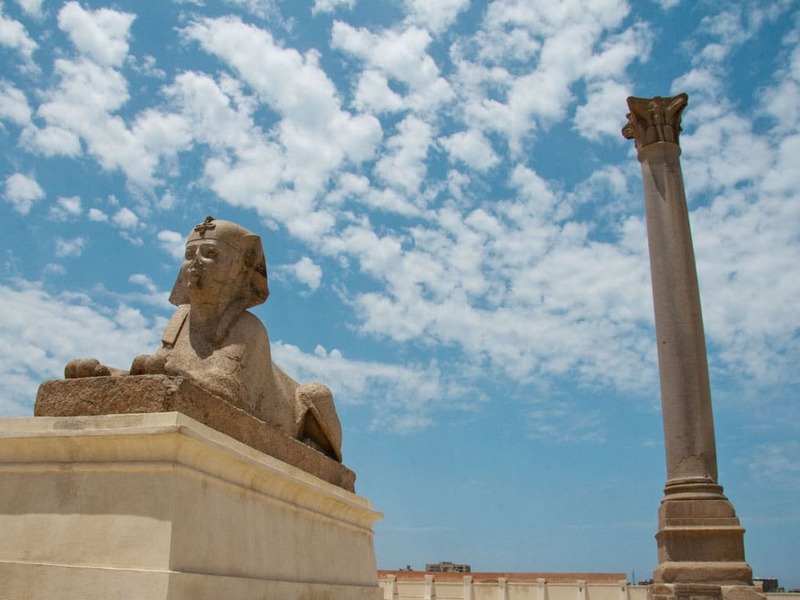 You will visit the Catacomb, the Pompeii’s Pillar, the Greco Roman Museum, Montazah Garden and enjoy an outside view of the Qait-Bay Fortress. Stay overnight in Alexandria. After breakfast we return from Alexandria to Cairo. 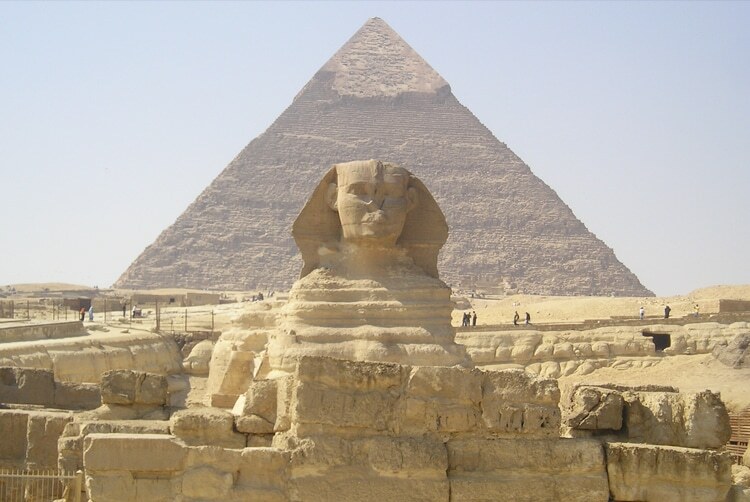 Check-in to your hotel and enjoy an afternoon of leisure to explore Cairo. For a beautiful evening-out experience in the pearl city of Africa, join us on one our optional group excursions. The recommended tour is the Pyramid Sound & Light Show or Dinner on Nile Cruiser with music and belly dancers. Stay and overnight in Cairo. 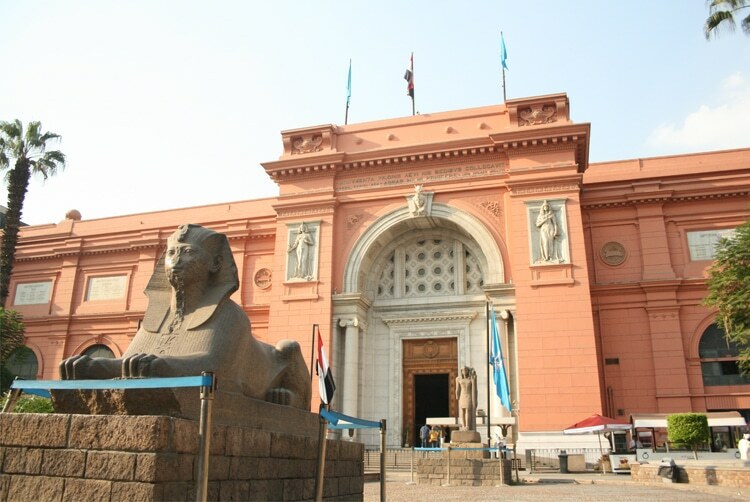 After breakfast at the hotel, depart for your visit to the Egyptian Museum of Antiquities housing over 250,000 objects of art dating as far back as 5000 years ago. The most famous and important displays is without doubt the Tutankhamen collection of treasuries. After lunch we visit the Mohammed Ali Citadel erected in 1183 A.D. The Alabaster Mosque of Mohammed Ali is one of the landmarks of Cairo whose minaret can be spotted from any part of the city. We take a walk through the small streets of the old Khan El Khalili market established around 1400. After the tour you will be transferred to your hotel. Stay overnight in Cairo. After breakfast you will be transferred by private air- conditioned vehicle to the airport and be assisted through airport formalities for your international departure flight. The end of the services.